Perfect for light handling requirements, the Portwest Latex Breathable Lightweight Handling Gloves A171 (Case of 120 Pairs) use a lightweight design and breathable back to offer total sensitivity and flexibility. This ensures safe and secure general handling, while their tough mechanical resistant properties protect hands from rough and coarse materials. 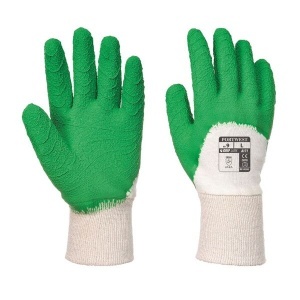 The Portwest Latex Breathable Lightweight Handling Gloves A171 are popular gloves, and with this offer you can buy a case of 120 pairs at a discounted price. Ideal for businesses that require high levels of health and safety, this offer lets you save money on your essential safety wear. To purchase these gloves in a single pair, please see the standard listing. The Portwest Breathable Gloves A171 use a lightweight design while offering enough dexterity and mechanical protection to be ideal for light handling applications. Their inner cotton liner provides long-lasting comfort, while their latex exterior enhances grip in all conditions. 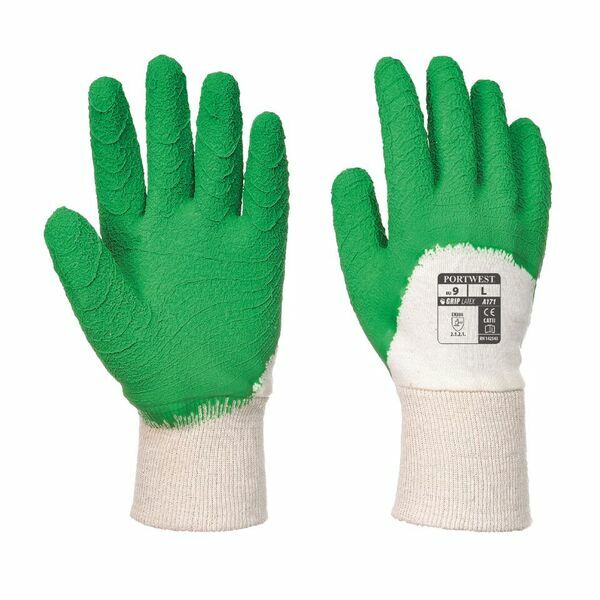 The Portwest Latex Gloves A171 are available in four sizes that should be suitable for most users. To find your perfect pair, please measure the circumference and length of your palm and match the results to the table below.